Enjoy the popular modern look in your bathroom with this beautiful vanity. 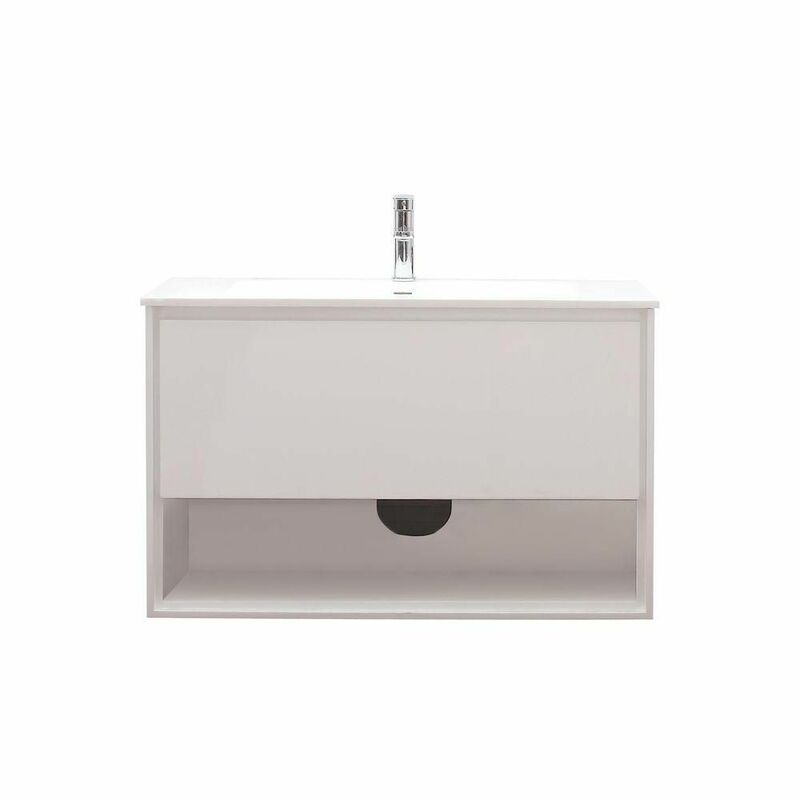 The white ceramic counter and white particle board base make this piece great for any bathroom. Redo the style of your bathroom with this classic from Avanity. Add this vanity to your bathroom for more modern style in your home. Its white acrylic counter and brown fiberboard base will look beautiful in your home. It is made with a single-door cabinet to hold all your bathroom items. Put together your perfect bathroom with this stylish vanity set from Fresca. Designed with a modern style and strong build, this vanity is a perfect choice for any bathroom. Its beautiful white artificial stone counter and brown fiberboard base bring a great new look into your bathroom. Put a classic feel in your bathroom with this good-looking set from Wyndham Collection. Add this vanity to your bathroom for more modern style in your home. The good-looking white artificial stone counter and brown fiberboard base make a big difference in your bathroom. Bring a classic look and feel to your bathroom with this beautiful set from Wyndham Collection. This vanity has both an all-around look and a modern style. There's plenty of space for items in this vanity's drawers and double-door cabinet. Bring a classic look and feel to your bathroom with this beautiful set from Wyndham Collection. Sonoma 39.4-inch W Wall Mounted Vanity in White With Ceramic Top in White Enjoy the popular modern look in your bathroom with this beautiful vanity. The white ceramic counter and white particle board base make this piece great for any bathroom. Redo the style of your bathroom with this classic from Avanity.